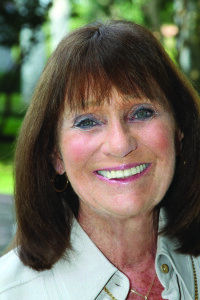 Every month starting in November through March, Naples, Florida, book lovers are treated to the insights of Elaine Newton, creator of the Critic’s Choice book club. This is no ordinary book club, and Elaine is no ordinary reviewer. The self-described “compulsive researcher” and retired Toronto-based university professor in literature, humanities and psychology has taught people of all ages since the 1960s. She brings a lifelong love of books to her interdisciplinary approach to her craft, which in essence is a master class in the art of the book review. Her audience walks away with an entirely new appreciation for a work and a hunger for more. Elaine’s chosen books include critically acclaimed bestsellers and many of the most talked-about books of the last few decades, from Memoirs of a Geisha and Cold Mountain to The Goldfinch, The Help and The Paris Wife. This past spring marked the 25th anniversary of her popular lecture series (check out a list of all the books she has reviewed here). She frequently fills all 4,000 seats in Artis — Naples – the city’s Philharmonic Center for the Arts – making Critic’s Choice arguably the biggest book club in the world. Building on the success of her book series, Elaine now does film reviews, too. “Once you’ve been to one, you never want to miss one,” says one loyal subscriber to her series. The Writing Well caught up with the Phil’s “popular professor” in early June, after she’d left Naples for the cooler climate of her native Toronto. Below in a heartfelt Q&A, Elaine shares what she looks for in a great story, her critique process and what keeps her reading and engaged as a critic and lecturer year after year. Q. What do you look for in a book to tackle it in your lecture series? Does it have to meet a certain set of criteria of powerful storytelling? Elaine: The final selection of the six books for the series is the end result of a long, but rewarding process that first produces the 35 novel Summer Reading List selection that I give out in April. I create that list with the help, over four or five months, of several key readers at Barnes and Nobles. Then I re-read about 12 novels from that list, chosen because I already have a sense that they would be fine choices for my audiences to read, and at the same time be novels I can live with, and think about, and respect over the many hours it will take to prepare the lectures. My chosen novels must be extremely well-written, engaging, skillfully structured, peopled by characters who come off the page and are alive. But above all, I look for the human dimension, the moral wisdom. A book worth reading a number of times….I also want diversity in subject matter, authors, style, for the series. The truth is…I would like each book we read in Critics Choice to be a masterly example of why we all read at all. Of the joy it gives us. The way it gives us perspective on the world we live in, and on ourselves in that world. 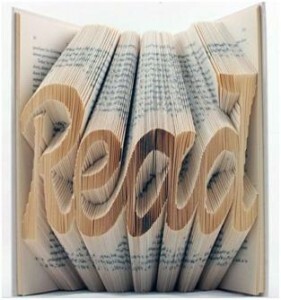 Why would I ever ask anyone to read a novel if I didn’t think it was worthy of his or her time. Q. What is your “process” for a typical book review in your lecture series? How long does it take from the moment you select a work to delivering your lecture? What is the most time-consuming part of the process? Elaine: You really don’t want to know the work behind the “craft” do you? Untold hours. I am a compulsive researcher, and an obsessive re-reader. I need to know everything I can about the author, the subject, the publication path, and my own responses to all aspects of the novel itself. My husband will tell you that I “live” with the book and its author for the month of lecture writing. I write for four or five hours most days when I am in preparation mode — longer if I am nearing the presentation. I write in long hand, re-write in longhand, edit in long hand, and then a day or two beforehand, I rewrite a “clean” copy. Now you see why I must truly appreciate the novels I choose. Q. Have you ever heard from an author, whose work you reviewed? Elaine: Yes, a few times and from filmmakers too, after the movie reviews. Phillip Roth was in the audience for The Human Stain. Michael Ondaatje and Margaret Atwood were in the lecture hall when we taught courses together, and I lectured on their novels. And of course, we have now had seven authors with me in our once-a-year Authors Dialogue at the Phil and we have spoken together of their work. So, in effect they have heard me review their work. I also worked as book critic for The Toronto Globe and Mail for over 10 years. Any author who wished could read my reviews. Q. What one thing makes your approach to reviewing books unique? Elaine: I am a professor – this is what I am committed to do –to hopefully help people discover how to read happily, wisely and with the skills and insights that educators tutor others in. I also want to help everyone become better readers, and really able to understand the art of literature because that enriches one’s reading immeasurably. It’s like tennis, the more you play, the better you get at it, the more you enjoy playing. Q. What has made you continue to do this year after year? Do you have a close connection to your audience/book aficionados? Q. What prompted you to begin your film review series? How is reviewing a film different than reviewing a book? What makes a film great in your mind? Elaine: The film reviews were a natural extension of the literary ones, we all want to discuss the movies we see, in the same way as we talk about the books we are reading. A good movie doesn’t end for us when we leave the theatre. And, the way we see the world, learn about ourselves and others though movies, is very much part of our society now. Film may well be the new literature. tickets ARE available when returns occur…and can be purchased at the door about an hour or so before the lecture. The Thursday Book series is all sold out …again, last-minute tickets are available at 9.30 a.m. if there has been returns. BUT: Saturday morning is ALWAYS available. We use the large hall, and everyone is welcome. It’s best to buy tickets ahead if you can because the last minute line-ups are often large. But we open the box office a half hour before a performance. All tickets are available to out-of-towners by calling the box office, or buying on the internet at the Artis Naples site. Q. What are your favorite genre and your favorite author(s)? Elaine: I love them all. I am grateful for the gift of their creativity and talents. 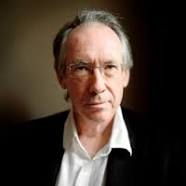 But everyone will tell you, I am an Ian McEwan groupie (who wrote Atonement) …..as I was a Phillip Roth devotee. I treasure so many writers that I could not ever make a list. The password for my computer is the title of a contemporary novel…. Read popular Elaine Newton book selections on Goodreads. This entry was posted in Book Reviews, Films & Pop Culture, Inspiration and tagged book critic, educating readers, Elaine Newton, Naples on June 21, 2015 by AnneWainscott.